A boater rescued one adult and four children from the water about a mile north of the Chesapeake Bay Bridge Sunday afternoon, but a man is missing, according to the U.S. Coast Guard. 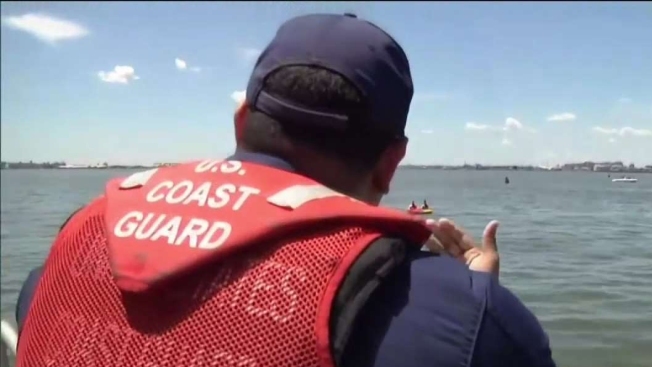 The boater helped the four children and adult, who speak Spanish, out of the water after their boat sank and called the Coast Guard. The Coast Guard provided a translator and learned one of the children’s father is still missing in the water. The Coast Guard is looking for a 42-year-old Upper Marlboro man in a red shirt. The boat ran into trouble about noon Sunday and sank so fast the six people on board didn't have time to put on life jackets, Maryland Natural Resources Police spokeswoman Candy Thomson said. The five people who were rescued were taken to Sandy Point and are getting medical attention. There is no report on their conditions.